Availability: This product is discontinued and no longer available for purchase. For alternatives browse our Secret Fitness department. The Speedo Rift Aqua Mask has a split silicone head strap and soft seal for ultimate comfort and water resistance, and is a great all round mask whether snorkelling, doing triathlons, or just wanting full face coverage. The human body combines the structural strength of the skeleton and the flexibility of muscles. The result is performance greater than its individual parts. This is the inspiration behind Speedo BioFUSE® technology, where products are engineered to perform in harmony with the body. The interaction of structure and flexibility result in enhanced performance, comfort and fit. 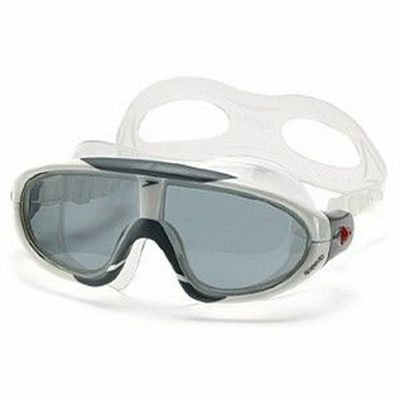 for submitting product review about Speedo Rift Aqua Mask.